The Spitfire Grill is a show which is much more than just another musical. You won’t find show stopping dance numbers. Instead, you have a show that is overflowing with heart and reminders that we are all just searching for a place where we belong and can call home. Set in the fictional town of Gilead, outside of Prairie du Chien Wisconsin, The Spitfire Grill tells the story of Percy Talbott (Katharine Strom) who is out on parole after spending 5 years in prison. After seeing an advertisement for the picturesque Gilead, Percy decides to make the town her home as she begins to rebuild her life. Upon arriving in town, Sheriff Joe Sutter (James Ehlenz) arranges for Percy to live in Hannah Ferguson’s (Martha Wigmore) extra room and to help out at her restaurant the Spitfire Grill. As expected Percy’s background clashes with the members of the town most noticeably with town busybody and mail carrier Effy Krayneck (Shana Eisenberg). When Hannah falls and hurts her hip, Percy and Hannah’s niece Shelby Thorpe (Christy Jones) take over the day to day running of the grill. While things are a little hectic at first, the girls fall into a natural balance and begin to build a friendship. When Percy learns Hannah has been trying to sell the restaurant for the last 10 years, she suggested raffling off the place for $100 a ticket and the best essay as to why The Spitfire should go to you. Soon essays are coming in from all over the country as to why they are the most deserving of the grill. This show was handpicked by Lyric Arts’ Artistic and Executive Director Laura Tahija Johnson for the season and it was an excellent choice. There are so many themes and characters throughout the show which can easily be found0 in any small Minnesota town. Lyric Arts’ Resident Director Scott Ford and the cast have done a truly beautiful job bringing this production to life. Gabriel Gomez’s set gorgeously depicts autumn in a small town complete with fallen leaves. Combined with Adam Raine and Mara Johnson’s lighting design the set is visually stunning throughout the show. 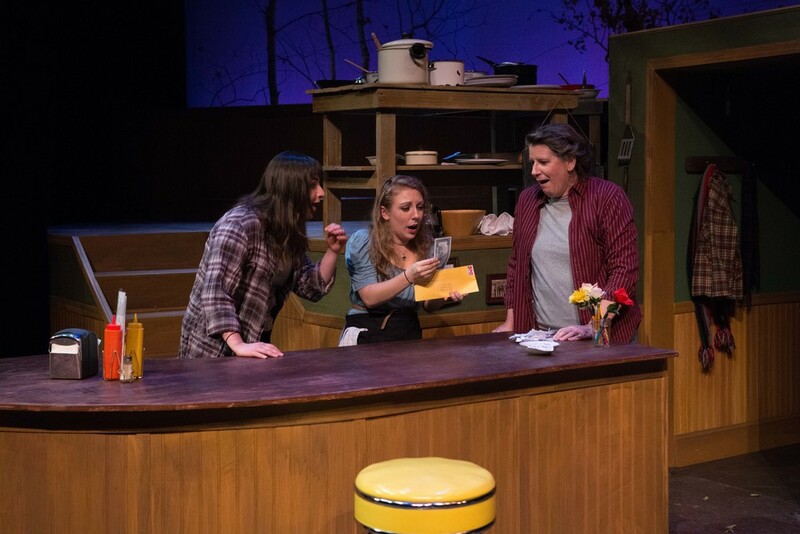 The Spitfire Grill is currently playing at Lyric Arts in Anoka through November 1. For more information on the show or to purchase tickets, visit their website. I would love to have you come see/review an upcoming production. What is the best way to invite you to come review a show?